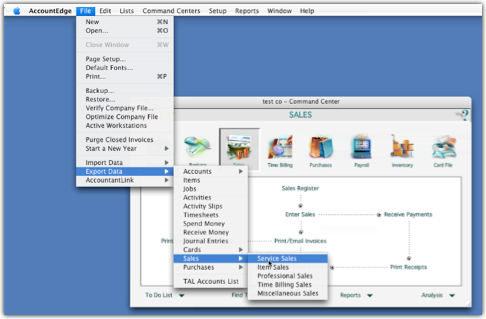 NRG: Mac & FileMaker Shipping Software :: Does NRG's shipping software support exported orders from MYOB's AccountEdge? 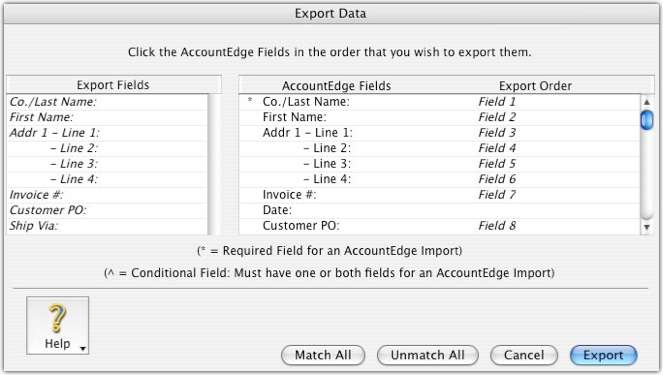 Does NRG's shipping software support exported orders from MYOB's AccountEdge? Yes, follow these instructions to export your orders from MYOB. 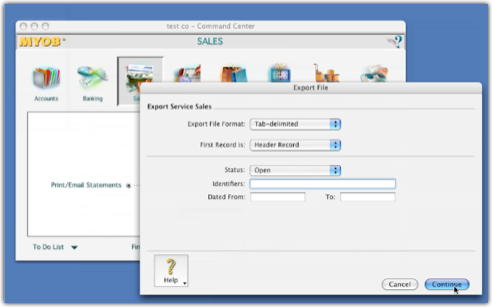 Step 3: Select columns as per graphic for export. Click export button. 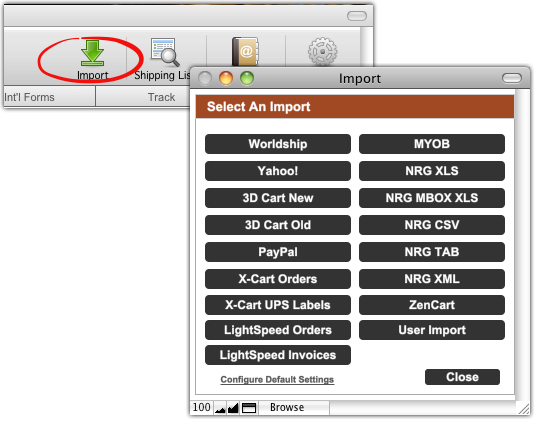 Once your orders are exported, you can easily import them into your NRG shipping software by clicking the Import button at the top of the screen and choosing the MYOB import option.